How much would The Mick, Say Hey and The Man earn? Whenever I read reports about the salaries being paid to today’s pro athletes, I am drawn back to when I was a kid who idolized earlier athletic icons. 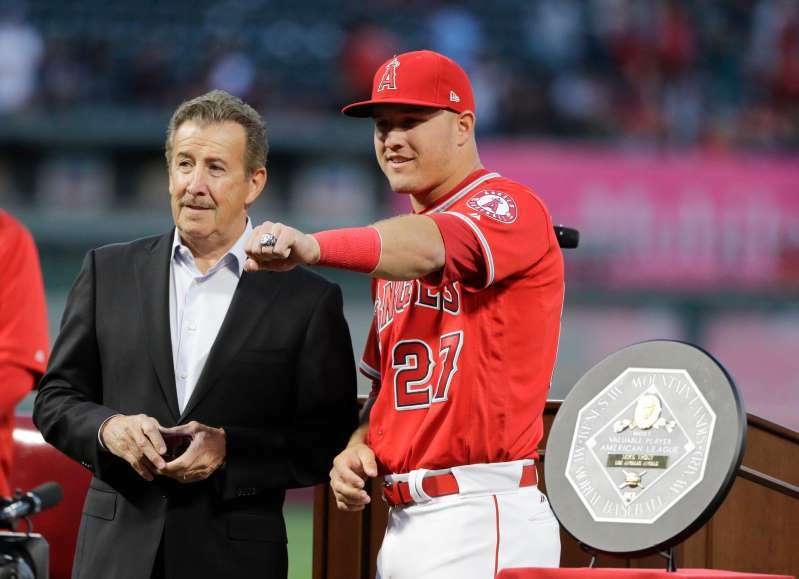 Mike Trout, the best Major League Baseball player on Earth, has signed a deal worth $430 million over the next 12 years. He plays centerfield for the Los Angeles Angels, who want to keep him on their roster seemingly for the rest of his playing career. Wow! That is a ton of scratch, man. I won’t argue the point about the rightness or the wrongness of these salaries. It’s what sports franchise owners are willing to pay. If they’re willing, then athletes are entitled to ask for it. Still, I cannot help but wonder what some of these iconic athletes I used to admire would earn. Mickey Mantle, Willie Mays, Stan Musial, Henry Aaron, Ted Williams? I figure it would be in the gazillions! I read these “sports” stories today and wonder whether competent sports writing these days requires advanced degrees in economics. These news stories revolve around “salary caps,” and “room” at the top of teams’ payrolls and all those complications that muddy it all up. Congratulations, Mike Trout. You’re set for several lifetimes. Behave yourself and — dare I say it? — don’t get hurt!